As more people become aware of the dangers of technology, they are looking for ways to make positive changes in their home and lifestyle to reduce their exposure. Protecting your children from the dangers of EMF radiation should be a high priority, and should begin immediately, as there is so much we can do even before the child is born. As you may already know, children are far more vulnerable to radiation from devices such as cell phones, tablets, WiFi and much more. It used to be that children were not exposed to much technology until they were closer to adulthood, as tablets and cell phones were not so inexpensive and readily available. However, today it is not uncommon to see a 4 or 5-year-old with a cell phone, and children even younger with a tablet always on their lap. Manufacturers are even specifically designing cell phones for children pre-loaded with games, cameras, and accessories to allow the phones to be even more entertaining. It’s easy to think of cell phones only for the convenience they allow. They make it simple to keep track of our children and to easily get in touch. These are great things that shouldn’t be overlooked, but it’s also important to understand the potential dangers and risks these devices pose. 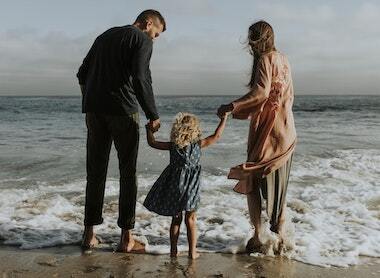 In this guide, I want to dive fairly deep into the science and research behind why children are more vulnerable to EMF radiation. Then I want to go over simple and actionable ways we can protect our kids from these dangers. If you want to jump down to the section most important to you, use the table of contents below. Let’s start by talking about why this should be a real concern. You might already intuitively know it, but children are more susceptible to all sorts of dangers, from EMF radiation to air pollution. Although their smaller size makes them proportionally more vulnerable to things, it’s important to remember that they are not just smaller sized adults. The biological and structural makeup of a baby or small child is dramatically different and makes a difference in how well it can protect them. For example, a 2003 study found that children’s thinner skulls and bones protect them from less radiation, causing them to absorb up to twice the radiation from devices like cell phones as compared to adults. Their brains also have a different chemical makeup, containing a higher concentration of fluids and ions that can allow EMF radiation to penetrate significantly deeper into their brain tissue. On top of that, children also have smaller heads, meaning the brain center is closer to the source of cell phone radiation. Their brains have higher liquid content, and their brains are less myelinated and are still developing. FCC regulations and governmental guidelines do not take any of these things into consideration. At the time of this writing, no changes have been made by the FCC to their original 1996 regulatory requirements, despite pressure from the GAO and dozens of other organizations. “Our body makes over 2 million new red blood cells every second. This rapid creation of new cells leaves them vulnerable to stresses on the body. Inside of our red blood cells, there is actually a series of small receptors, located within the cell membrane. Although these receptors typically receive chemical signals from the body, they are also capable of being influenced by outside influence. Since children are growing at a significantly greater rate, their cells are dividing and replicating exponentially, exposing them to a more rapid version of what I discussed above. The blood-brain barrier that protects our brains is also more permeable in children. This can make their brains even more vulnerable to the toxins and free-radicals created in the bloodstream. On top of all that, it’s possible for children in the womb to be exposed and harmed by the EMF radiation the mother is absorbing through cell phone use, laptop use, smart meters, etc. It’s also important to remember that the levels published and enforced by regulatory agencies intended to protect us from radiation emitting devices are usually far higher than they should be. For example, in my article about Specific Absorption Rates, I talk about the way these ratings are tested does not factor in the size and biological makeup of children. The models they use contain a special liquid intended to replicate the adult brain. Since most regulatory and government oversight agencies are politically influenced, telecom and electronic manufacturing companies are able to lobby them to keep mandated levels and laws at profitable levels. This is why we see other countries such as France or the Netherlands much further along in protecting youth from the dangers of EMF radiation. In France WiFi has been banned in nursery schools and limited in primary schools, something we are not likely to see in the states for quite some time. 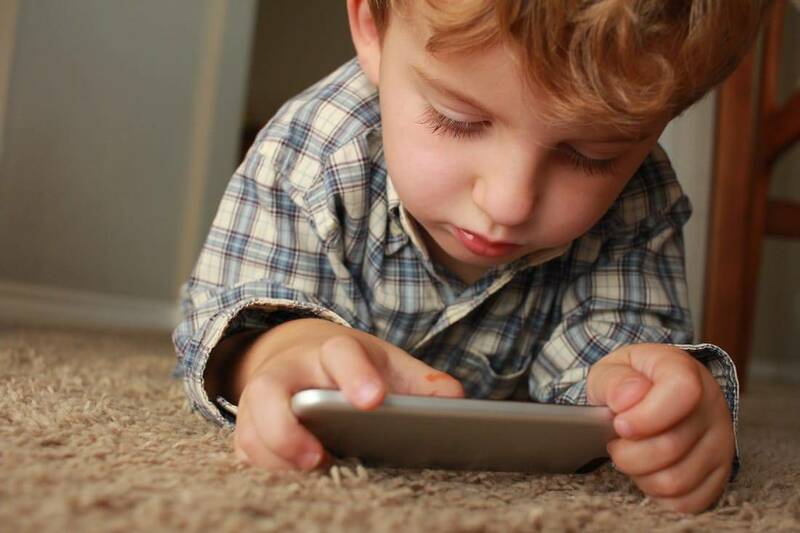 How Does EMF Radiation Harm Children? One of the tough parts about assessing the danger that EMF radiation and WiFi pose to ourselves, and our children, is the difficulty in understanding regulatory levels. As an example, the majority of scientists recognize that RF radiation in large amounts causes a heating effect, which has a variety of health effects associated with it. This is what most FCC and other government regulations are based upon. However, we know that even non-ionizing radiation in any amount can also have a large variety of health effects. In 2014 a French study published in the Occup Environ Med. found that there was a statistically significant association between increased change for meningiomas, gliomas, and other cancerous tumors, with the heaviest users of cell-phones when looking at cumulative use over a lifetime. In 2015 a study published in the Biochemical and Biophysical Research Communications showed that even a weak cell phone signal promoted the growth of tumors in mice. This experiment replicated previous ones that showed the same results. You can read the full results here. In 2016 the National Toxicology Program released the results of a study that found carcinogenic effects resulting from low exposure at non-thermal levels in mice over a period of 2 years. Alright, now that we’ve talked about why this is a real concern, let’s talk about what we can do about it. In 2008, a study called “Prenatal and Postnatal Exposure” found that out of the 13,000 children surveyed, children’s whose mother used her cell phone frequently were more likely to have a variety of behavioral problems. Another study in 2002 found that excessive cell phone use could possibly be linked to increased risk of miscarriage or birth defects. Think of EMF radiation as another toxin you should try to avoid while pregnant. In the same way, you that you don’t smoke or drink alcohol, and carefully consider the foods you eat, you should also be careful about how much wireless radiation you and your baby are exposed to. One great solution for this is to consider getting an EMF protection belly blanket from a company like Radia Smart or Belly Armor. These blankets are made out of a tight silver woven fabric that attenuates (blocks) 99.99% of radiation from passing through. They are usually then covered with a soft cotton. So, when you’re sitting in a chair or lying in the couch and scrolling through your phone, tablet, or laptop, you can cover your belly with these blankets to block EMF radiation from reaching the womb. Better yet, after the baby is born you can use them as a baby blanket to help reduce radiation exposure from things in the nursery. Although products like this and other can go a long way at reducing exposure to EMF radiation, the most important thing you can do is simply reduce your use of devices. Cell phones, tablets, laptops, WiFi and more all pose a serious health risk to you and your baby, and reduce your use of them can have great positive health impacts. Another important thing you can do is to simply reduce the EMF radiation around your home. I’m not going to take away from this post by going into great detail on this, because I already have an enormously comprehensive guide to home EMF protection. So I’d really encourage you to pause from this article, and take a look at my Whole House EMF Protection Guide (It will open in a new tab) before you move forward so you can get a really good understanding of how you can simply lower exposure in your home. The next thing you’ll want to do is make sure that your nursery is as much of an EMF-free zone as possible. 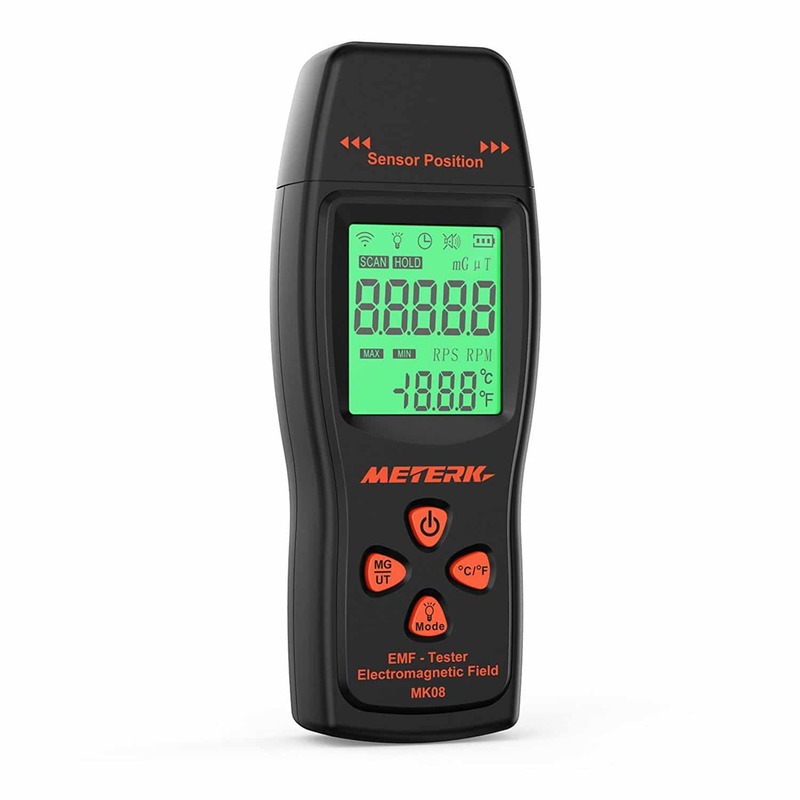 I would start by getting a quality EMF meter if you don’t already have one, and sweeping the room to see what the baseline radiation levels are, as well as find out how much radiation is being emitted from things in the room. Baby monitors these days are a near necessity for peace of mind. However, I would encourage you to get a wired baby monitor if possible as the wireless versions emit far more radiation. These can be a bit hard to find, so if you are going to opt for a wireless baby monitor, I’d suggest getting something that is voice activated (so it is not operating while there isn’t sound) like this one from Amazon. I would also suggest you put the camera or microphone as far away as is reasonable, at least 6 feet. Doing this will reduce the radiation exposure to your child to almost nothing. If you’re considering getting a wearable baby monitor, be sure to weight out the cost/benefit, as the small amount of radiation exposure from these devices may not be worth the convenience. Alright, now let’s talk about one of the big issues of today, your child, and cell phones. f you’ve read many of the other articles on EMF Academy, you should have a pretty thorough understanding of the danger that cell phones pose. Not only do they emit a large amount of EMF radiation, but we keep them in very close proximity, and use them extremely often. The risks that cell phones pose is even greater for children. France has made it illegal to market mobile phones of any kind to young children. The Russian government advises anyone under the age of 18 to not use a cell phone at all. In the United States and some other countries, not much has been done at a governmental level to protect our youth, so it falls to us to make smart decisions. Well, obviously the best (but not realistic ) solution would be to not buy your child a cell phone at all. However, in today’s connected world this is very difficult to do. Not only can it be imperative to keep in touch with our children, but the enormous social pressure of having a cell phone can be a huge burden on our children. So instead we have to just make smart and reasonable decisions to help protect our children. First of all, hold off as long as you feel reasonable. Try not to buy your pre-schooler a cell phone if they don’t absolutely need it. You’ll know when the time is right for your child, in your families own situation. Although it may sound counter-intuitive, try to have your child text you quick messages instead of calling. Text messages are extremely quick and emit hardly any radiation. However, making a phone call and holding the phone against your head can add to the cumulative danger of cell phone use. Consider getting your child an air-tube headset to listen to music and videos, as well as making calls with. Check out my guide on the best air-tube headsets. Air tube headsets dramatically lower radiation exposure from the phone by keeping the phone away from your body. They also reduce your exposure to magnetic field radiation by moving the speaker away from your head and passing the sound through a tube of air instead. No cell phones in the bedroom. I know, this one will be hard to enforce. However, for many of the same reasons you should turn off WiFi at night, you should also make your bedroom an EMF-Free zone, and that includes your children’s rooms. Doing this will not only improve their sleep and energy levels and reduce radiation exposure, but it will also instill good habits moving forward. tion cases for their cell phone (and yours). I really like and trust the ones from DefenderShield (Read my full DefenderShield review here). 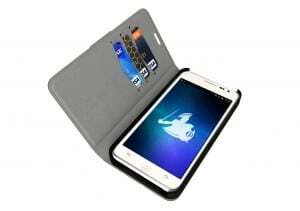 They are essentially wallet style cases, whose front flap completely blocks EMF radiation. You can teach your child that after they answer, or make, a phone call, to simply close the flap before putting it up to their head. This will dramatically cut down on their EMF exposure. For more ideas, check out my article “17 Ways To Reduce iPhone Radiation Exposure.” This article is packed full of ways to reduce your childrens exposure. Alright, now that we’ve talked about cell phones and our children, let’s talk about WiFi for a little bit. The danger of having high powered constant WiFi in any school cannot be understated. The trouble is, that although we can control WiFi in our own homes, it can be really difficult to make changes happen in a school district, especially in the US. Banned WiFi in Nursery Schools: Both WiFi and Wireless devices are not allowed in schools for children under 3 years of age, specifically the areas intended for rest and activities. Less WiFi In Primary Schools: In schools that educate children under 11 years of age, WiFi routers must be turned off when not specifically being used for learning purposes. Informed Parents: Whenever new tech equipment of any kind is installed, parents of children must be informed. Citizens get access to cell tower radiation measurements near their home and are informed when radiation levels increase. SAR Radiation levels must be labeled on the device. If you’ve read my popular post on SAR ratings for cell phones, you probably know that this information is not as easy to acquire in the US, and is certainly not labeled on phones. National Radiofrequency Agency established to monitor and research the health effects of EMF radiation. WiFI hotspots must be clearly marked so that people know when they are directly being influenced by WiFI radiation. And so much more that I don’t want to derail this post with. Your takeaway from all of that should be the understanding that you can’t expect your government to always protect you from these kinds of dangers. Especially when elected officials are being constantly lobbied by telecom companies and cell phone manufacturers to limit regulation and delay research. First of all, it’s important to remember that the harm from EMF radiation, including RF radiation, has been shown to be cumulative, meaning it adds up over time. Second, WiFi in schools is not voluntary, your children are exposed to it whether they know it or want it. Finally, it’s pervasive. In your home, you may have a single WiFi router (that you should probably at least turn off at night) and a few wireless devices. However, a school is an extremely high radiation area in a very small space. On top of all that, schools are often the location of small cell towers and the future location of 5g mini-towers. Many schools even hand out iPads or other wireless tablets to children to take notes or do assignments on. If you approach schools about the dangers of WiFi radiation, they may try to defend their decisions by saying that WiFi radiation levels are “low.” However, the only reason they are saying that they are “low” is that they are comparing the radiation density levels of SAR measurements to FCC-regulated exposure levels. However, if you’ve read much about SAR ratings or FCC guidelines, you’ll know that these are not even close to what are actual safe levels for adults, and especially for children. Also, even low levels of EMF radiation from a WiFi router can cause harm over time. However, don’t get discouraged, because there are things that you can do. 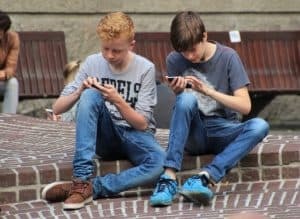 In a suburb of Chicago in the USA, parents of children attending the school filed a lawsuit against Oak Park School District claiming the use of WiFi was harming their children. In England, a large group of parents and teachers banned together to collectively called for the suspension of WiFi in schools throughout England, much like France did. So if you are concerned about the use of WiFi in your children’s school, consider beginning discussions with other parents and teachers to see what you might be able to do. Environmental Health Trust in a paper outlined some great recommendations specifically targeted at schools. Following these would allow schools to achieve radiation levels as low as reasonably achievable (ALARA). Install corded (non-wireless) LAN systems in classrooms so that teacher and student computers (portable and desktop) connect to the internet without RF radiation exposures. Install corded (not cordless) telephones in all classrooms for voice communication and security. Choose non-wireless options for all other technical communication such as printers, security, mouse, keyboard, video cameras, HVAC, speakers, headphones, microphones, and other accessories. Include information on FCC fine print warnings in the Bring Your Own (Mobile) Device (BYOD) Policy. Provide adaptors and accessories for personal devices so that devices can be used without radiation emissions in classrooms when needed as classroom tools. Prohibit cell towers near and on school buildings and grounds. This should give you a good place to start when approaching a school district about ways to lower radiation exposure for your children. This is super important for kids of any age. Laptops emit a large amount of EMF radiation. They emit magnetic, electric, and radio frequency radiation all the time that they are being used. If the laptop is connected to WiFi or any Bluetooth devices, it’s emitting a large amount of microwave radiation to keep that connection intact. Although much of the EMF radiation coming from a laptop is considered “low-level”, as we talked about above, this type of radiation can be just as harmful. If they do need to use their laptop for schoolwork, there are a few things you can do to reduce their exposure. First of all, whenever possible, hardwire their internet connection with an ethernet cable, this will cut back on the radio frequency radiation. If this isn’t an option, tell them to disable the WiFi whenever they aren’t actively using the internet, such as typing up a paper. Next, get a laptop radiation shield (here is my guide to picking the best one). These rest on their laps and manually block EMF radiation from reaching their bodies. This will not stop all radiation, but it will protect the part of their body closest to the source. Even if they use their laptop on a table, you should still get a shield. I won’t go too in-depth about this, because I have other posts about it. However, try to not have your children use wireless or Bluetooth headsets, ones that plugin will always emit lower levels of radiation. For best protection, have them use a pair of airtube headphones instead. This type of headphone has the speaker about halfway down the cord, and then sends the sound up an actual tube of air. This allows no radiation-emitting component to be too close to the head. If you want to read more about this or get help picking the best pair, you can check out my guide on Airtube Headphones. This may be obvious, but these types of devices can actually emit a fairly large amount of EMF radiation. They are intended to be worn all the time, and constantly monitor your heart rate, movement, etc. They are typically connected to your phone via Bluetooth, and potentially cellular as well. I’ve written full guides on the dangers of both FitBits, and Apple Watches if you want to read more about the specific dangers that these types of devices pose. Whole House EMF Protection – The Definitive Guide – Just like it sounds, this is an enormous guide that I wrote that will guide you through protecting your home from EMF radiation from beginning to end. Best Supplements and Minerals For EMF Protection – A short guide on the various supplements and minerals available that can help your body protect itself from radiation. Cell-Tower Map – An Illustrated How-To Guide – Curious where the nearest cell towers are to your home? This guide will walk you simply through the steps to find out. Dirty Electricity Filters – A Complete Guide – Tells you everything you need to know about dirty electricity, along with how to choose the right filters and protect your family. Smart Meter EMF Protection – I didn’t talk much about Smart Meters in this guide, but you probably already have at least some idea how dangerous they can be. This article will walk you through everything you need to know. Owlet Radiation – What You Should Know – If you use a wearable baby monitor or are considering one, this article is probably worth a look. Next, please, please share this article. This information is so critical to everyone, and the only way we’ll get the word out is by sharing knowledge. Whether it’s on facebook, twitter, Pinterest, or anywhere else, please help me get the word out! From the bottom of my heart, I truly hope you found this article helpful and informative. If you didn’t for any reason at all, let me know! I care about this community, and I care about you. I am so grateful for your diligent work and I plan to share this whole report with my entire family and grandchildren. You are a warrior! Carol! Thank you so much for the kind words. I’m so glad you benefited from it, and that you’ll be sharing it with your family! Thanks for the kind words Michelle, glad you found the article helpful!